There is nothing better than when a surprise turns out to be exactly what your heart wanted all along. 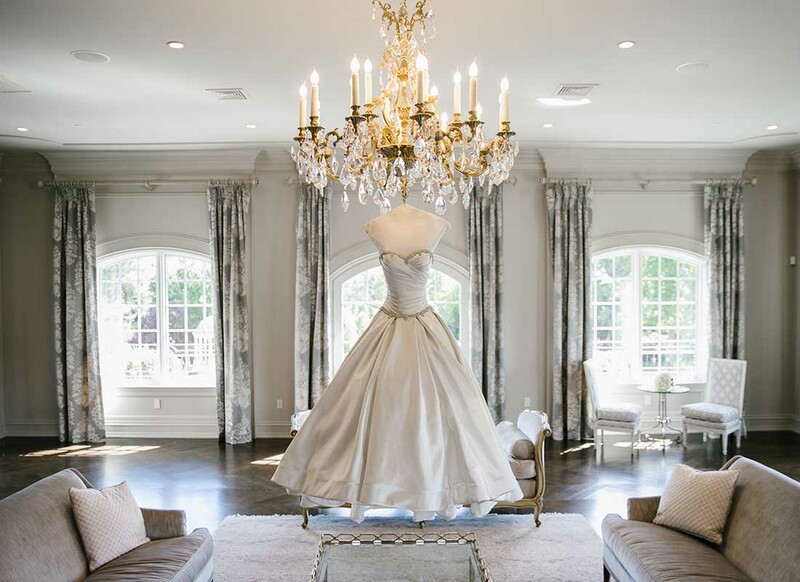 While Jodi Nelson may not have known it from the start, she was pleasantly surprised when an elegant and enchanting ball gown turned out to be the ideal wedding dress for her. 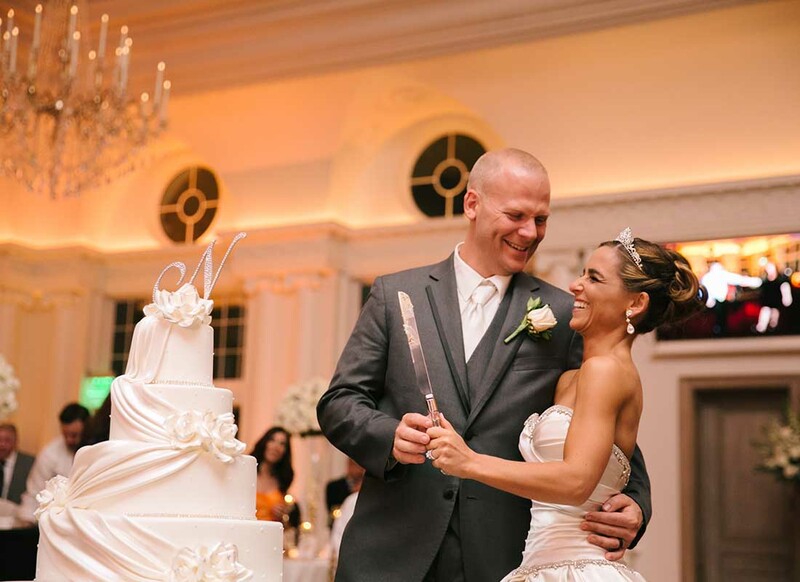 On June 3, 2017, Jodi's heart was full of love as she walked down the aisle of The Park Chateau in New Brunswick, NJ to marry her soulmate, Chris Nelson. Fun fact, Jodi's whole shopping experience was full of wonderful surprises. 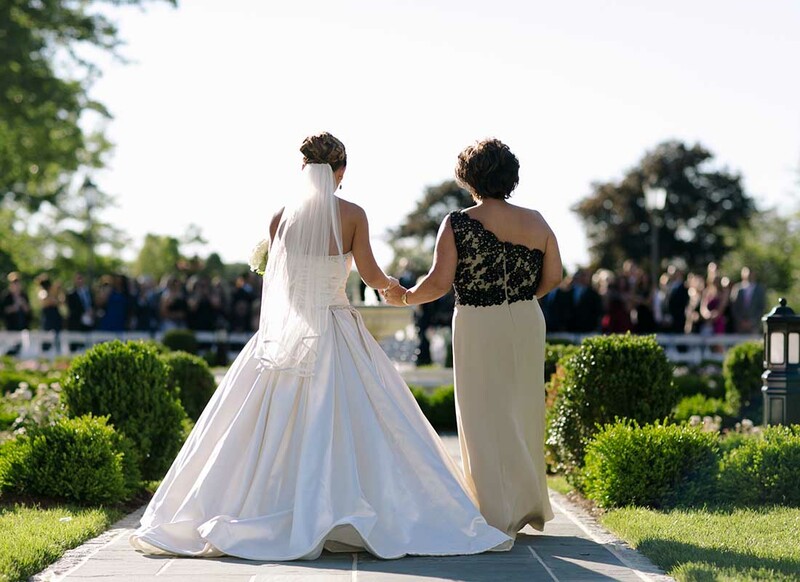 For starters, Jodi was surprised with the trip to Kleinfeld Bridal by her mom and her sisters who wanted to make the gown shopping experience a special one since she was the youngest of the sisters. Jodi knew that for her wedding gown she wanted to step out of her comfort zone of form fitting gowns and try something new for her big day. She pulled a few ball gowns and a few fit-and-flare gowns to try on. Her mother and sister had their own vision in mind though and pulled Jodi an exquisite satin ball gown from the Pnina Tornai Boutique to try on. At first, Jodi thought that there was absolutely no way she was even going to try on this gown. After being convinced to by her shopping gang, Jodi agreed to try it on first. Jodi never imagined that she would get swept up in that feeling that many women claim to feel when they try on their dream wedding gown. 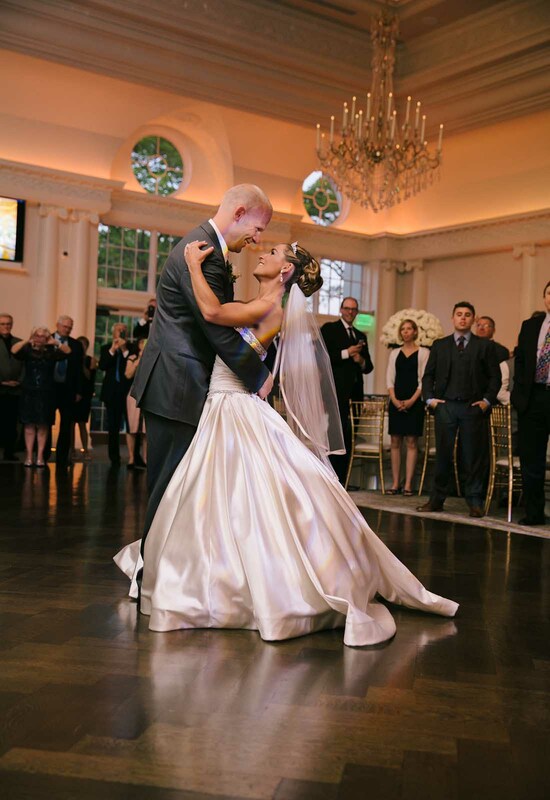 However, when Jodi tried on that satin Pnina Tornai ball gown, it was just too good to be true! Jodi couldn't believe that it would be one gown and done, especially not with a ball gown she previously had no intentions of even trying on! Four gowns later, Jodi could deny it no longer and tried on the ball gown again. Shocked and overcome with how much she loved the romantic and elegant dress, Jodi happily said yes. 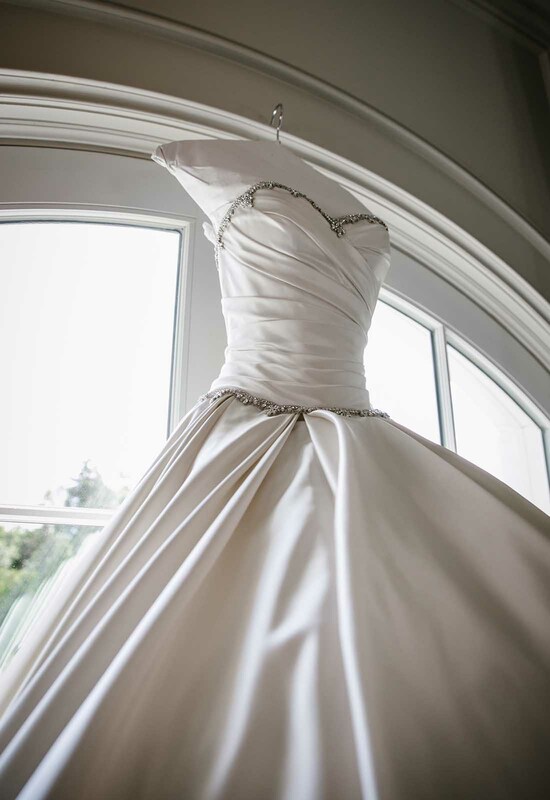 Jodi had fallen in love with a satin ball gown with a sweetheart, crystal embellished neckline. To make the gown suit her style a bit more, Jodi had the bow on the back of the ball gown removed. She also had a bit of the fluff underneath the ball gown removed so that it would not overwhelm her petite frame. With these simple modifications made, Jodi had her unexpected ideal wedding dress. Reminiscent of Cinderella's iconic ball gown with just the right amount of bling, Jodi was head over heels in love with her sweet and timeless dress. 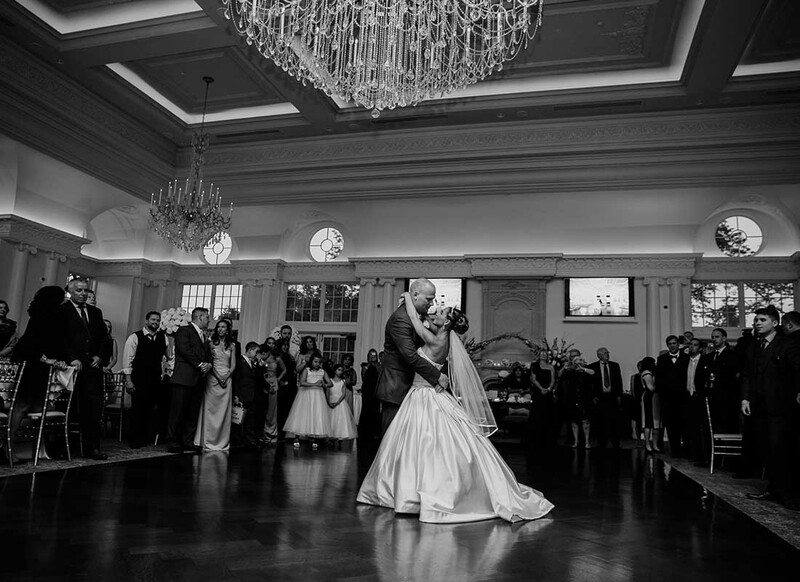 To complete her wedding day look, Jodi knew nothing went better with a Pnina Tornai ball gown than a Pnina Tornai tiara and veil. Funnily enough, Jodi and her sister had joked about her wearing a tiara on her wedding day but didn't think she actually would. However, when the consultants at Kleinfeld Bridal accessorized the gown, she couldn't help but fall in love with complete look. The tiara added an extra little pop of bling and the short veil added just the right amount of bridal drama to her look. 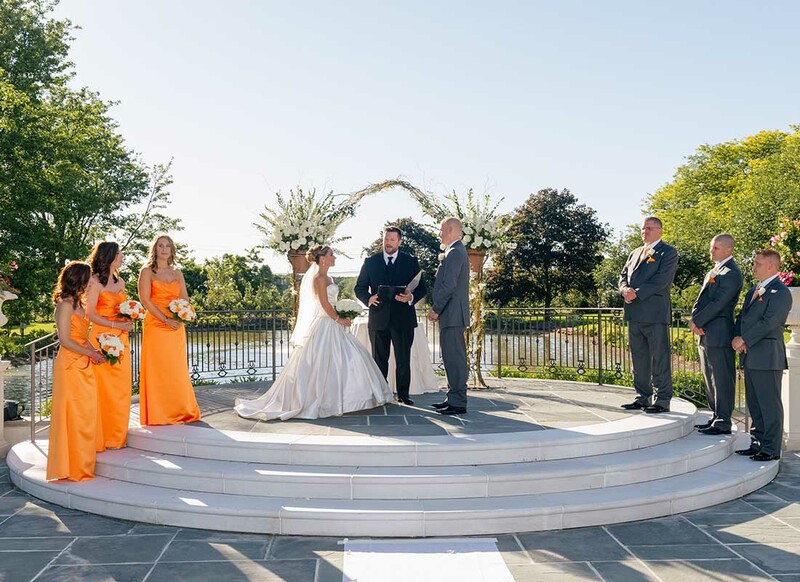 Surrounded by bright bursts of orange (her favorite color) and romantic white roses, Jodi was ready to say yes to starting her wedded life with her Prince Charming, Chris. While her wedding day ensemble may have been a complete surprise to her, one thing she knew all along was that she was marrying the love of her life.